Geranium pyrenaicum Bill Wallis is an evergreen perennial with a lax, sprawling habit. 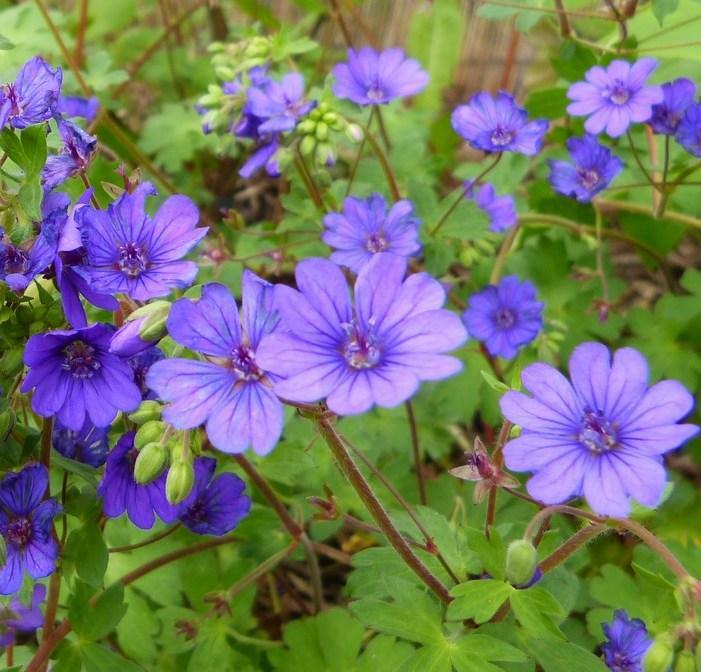 Small, rounded, lobed leaves and bright purple flowers produced in profusion from May-October. 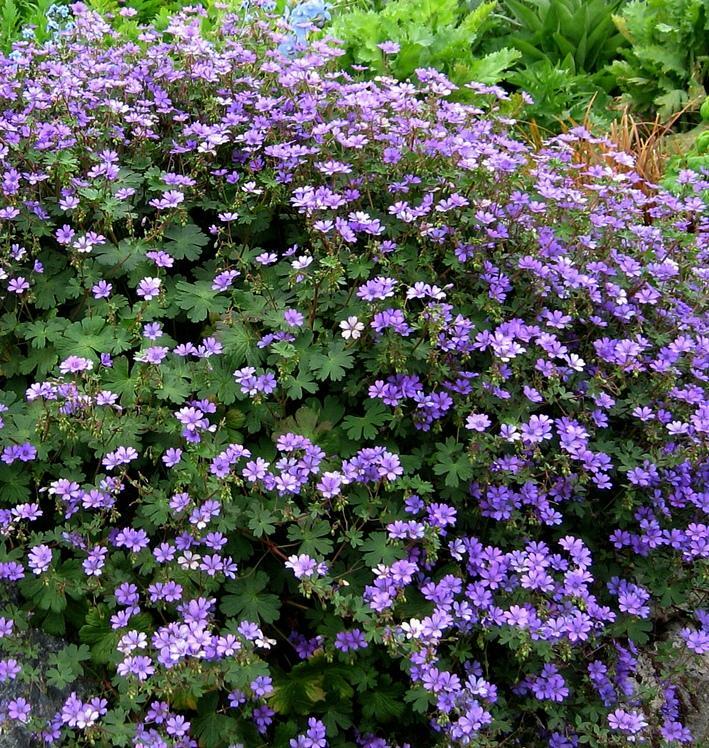 It will grow in full sun or partial shade in well drained soil. Height 0.5m, spread 0.5m.